In episode # 4 of The Art of Placemaking Podcast, we speak with Lynne McCormack, Director, Department of Art, Culture + Tourism, City of Providence about two sessions that she will be participating in at The Art of Placemaking Conference on November 7 and 8, 2013. 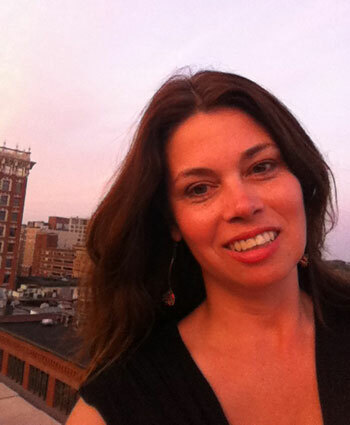 Lynne McCormack serves as the director of Art, Culture + Tourism for the City of Providence, Rhode Island. In her 14-year tenure as a city arts administrator she has moved through the ranks, from production coordinator to a trusted member of the mayor’s cabinet. Since assuming the director position in 2006, Ms. McCormack has successfully transitioned the department from an office of cultural affairs focused on public programming to a community and economic development agency. She forged a series of partnerships that have resulted in a destination branding campaign, a summer workforce development program for youth, citywide arts festivals and increased funding for artists and organizations through CDBG, HUD, transit and city economic development funds. Recognized as a leader in the field of creative economic development, she is regularly invited to speak about the City of Providence’s cultural infrastructure at conferences across the country, regularly participates in Americans for the Arts Local Arts Leadership gatherings, led a session at the 2013ArtPlace meeting in Miami, and has served on the Local Arts Agency panel for the National Endowment for the Arts. She is a member of the Mayor’s Economic Development Cabinet and serves on the board of the Providence-Warwick Convention & Visitor’s Bureau. Ms. McCormack earned her BFA from Rhode Island School of Design. Panel: What can cities and state governments do to foster creative development?